Dong Ji Fried Kway Teow needs no introduction. 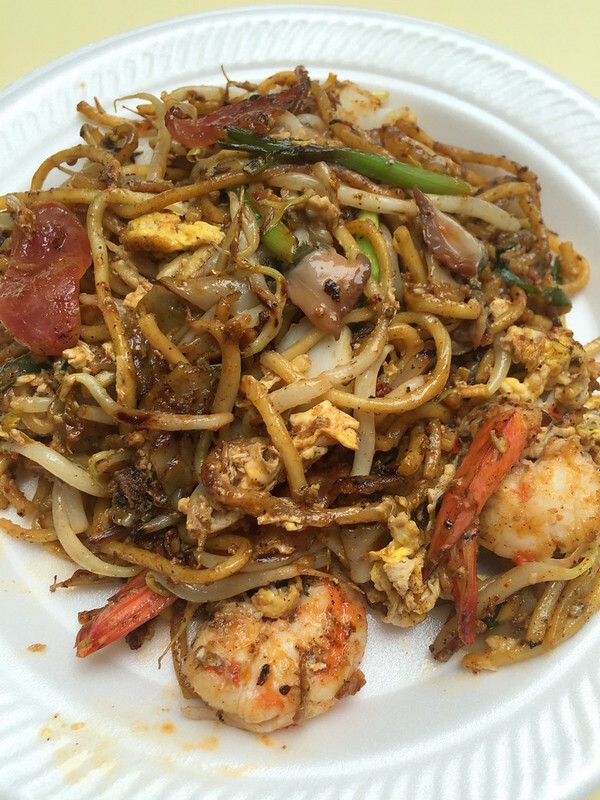 It serves one of the best char kway teow in Singapore. But I'm probably biased because it's the kind that I prefer - dry rather than soggy, savoury rather than sweet. 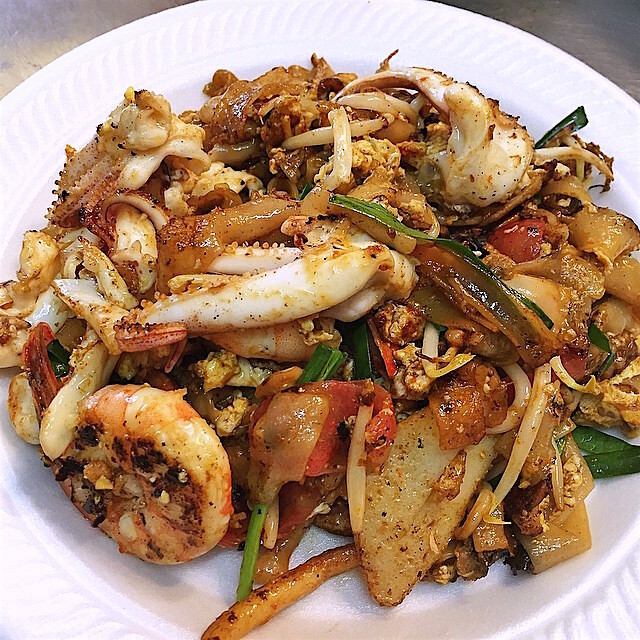 It's a bit more like Penang fried kway teow than the local variety that tends to be doused in sweet dark soy. Some people prefer the wet, sweetish type. And I love that he is so generous with his ingredients. Go for the S$4 portion (above) and you'll see. There's so much seafood, Chinese sausage, fish cake, cockles, egg, bean sprouts and chives that you can hardly see the rice noodles! On one of the days, the old man had run out of kway teow, so he fried one for me with just yellow noodles. It was still awesome. Just for comparison, this is the regular S$3 portion. Lolla Now Has Sunday Brunch!